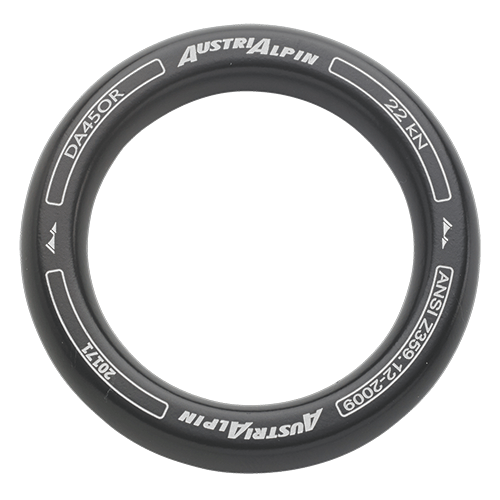 Invented in Stubai Valley and conquered the world: COBRA® components from AUSTRIALPIN are the bench mark if it comes to safety of men and material. Belt-manufacturers around the globe trust in the COBRA® Quick Release- and Thread Back Buckles which are produced in Tirol. 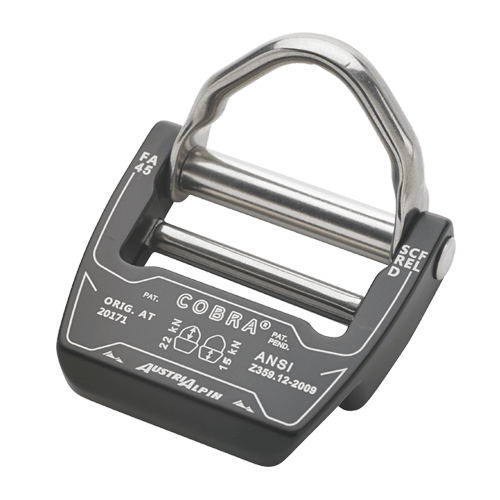 One-sided opening of the lock is NOT possible for all COBRA® models. Discover the huge variety of COBRA® models for different use cases. 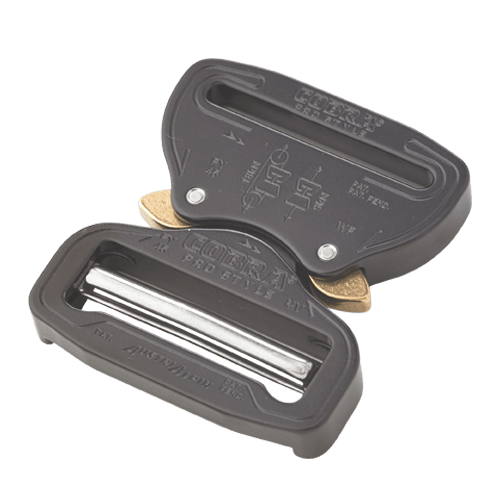 A wide variety of frame-buckles and slideblocs for all different applications. A wide variety of rings in different shapes.